But looking closer, it’s clear that Maryland isn’t immune from the blue-red divide afflicting the rest of America. Far from it. The gas tax and gun control both passed by much smaller margins than 98-43. Significantly, such narrow margins are a persistent trend, reflecting the real political divide in the state. 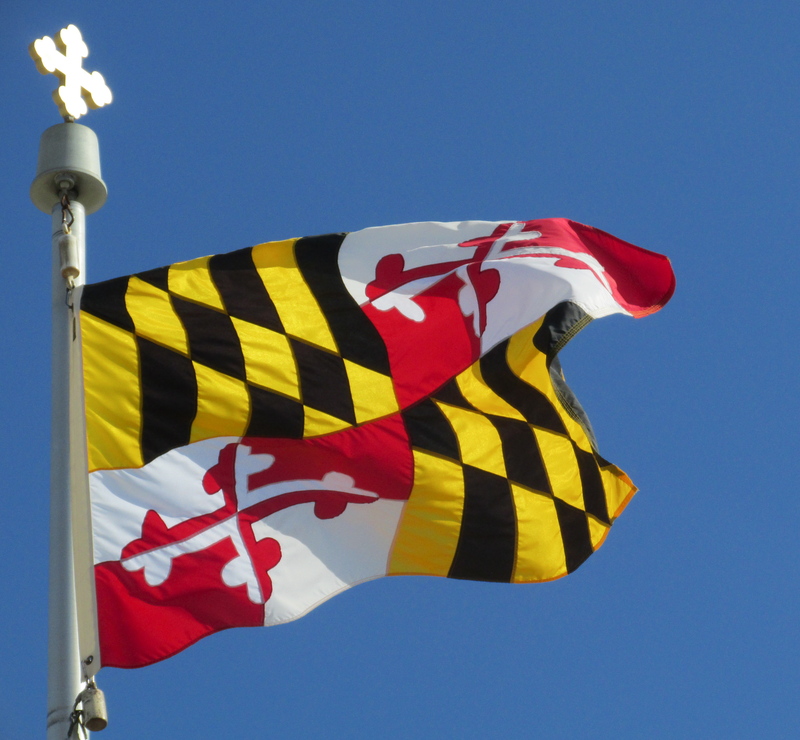 For a relatively small state, Maryland is surprisingly regional. It has mountainous Western Maryland, densely populated Central Maryland, the rural Eastern Shore, and Southern Maryland, which has been rapidly changing from rural to suburban. The state is composed of 23 counties and Baltimore City, for a total of 24 jurisdictions. Here’s the important part: Only five jurisdictions out of a total of 24 can fairly be identified as blue. They are Montgomery, Prince George’s, Howard and Charles Counties, and Baltimore City. Most of the population — and most of the votes, including the Democratic majority — are concentrated in Central Maryland, along the I-95 corridor. The core of Democratic strength is in the blue “suburban” counties surrounding Washington, D.C., followed closely by Baltimore City and Baltimore County. The outlying suburban counties (Harford, Frederick, Carroll) tend to be Republican red. The rural counties of Western Maryland and the Eastern Shore are bright red. Color two close-in suburban counties purple. They’re Baltimore County and Anne Arundel County. Their role is more critical in the mid-term gubernatorial and General Assembly elections than the presidential elections. We’ll take a closer look at them later. In presidential elections, Maryland gets its deep blue reputation by running up humongous Democratic majorities in three big jurisdictions. The Democratic strongholds are Montgomery County (population 1 million), Prince George’s County (pop. 800,000 plus) and Baltimore City (pop. 600,000 plus). Not surprisingly, those “big three” jurisdictions provided most of the votes in the House of Delegates to raise the gas tax. Montgomery delegates voted 23-1 in favor of the gas tax increase, Prince George’s delegates voted 20-3, and Baltimore City delegates voted 18-1. The three jurisdictions provided 61 votes for the gas tax, only 10 short of the 71 needed for an absolute majority. The two other, smaller, blue counties, Howard County and Charles County, provided four votes each for the gas tax. Grand total for the five blue counties, 69 votes, only two short of a majority. The final vote in the House of Delegates was 76-63 for the gas tax, with all Republicans voting against, and two Republicans absent. That means the bulk of the Democratic votes came from only five blue jurisdictions. The rest of the state — the other 19 jurisdictions — provided seven votes that pushed the bill over the victory line. The “other 19” provided 56 votes against the gas tax. You can see how sharply Maryland’s blue jurisdictions are divided from the red counties. The House 78-61 vote for gun control was even more concentrated in the big three jurisdictions. Every single delegate representing Montgomery County, Prince George’s County, and Baltimore City, voted in favor of gun control. (One Baltimore delegate was absent.) How concentrated is the Democratic majority? Every delegate (and every state senator) representing the “big three” is a Democrat. Not a single Republican delegate among them. All the outlying suburban counties and all the rural areas voted solid red, against gun control. The close-in suburban blue county, Howard, voted 4-2 in favor of gun control. The close-in suburban “purple” county, Anne Arundel, voted 10-2 against gun control! Anne Arundel delegates voted by the exact same margin, 10-2, against the gas tax. Only Speaker Mike Busch and Del. Mary Ann Love, both Democrats from the urban Annapolis area, voted in favor of gun control. Speaker Busch must be feeling mighty lonely in Anne Arundel right now. The 10-2 Anne Arundel vote is significant. In 2012, Anne Arundel was a virtual tie vote, 126,635 for President Obama, and 126,832 for Romney! Anne Arundel makes a large contribution to the statewide Democratic total in presidential years. But in General Assembly elections, Anne Arundel is definitely red. The votes in the House of Delegates make that crystal clear. In state and local elections, it’s increasingly difficult for a Democrat to win anyplace in Arundel, other than Annapolis. Now we come to the most interesting place, Baltimore County. Democrats usually turn out a Democratic majority, by varying margins, in presidential years. But it’s a big county, and some parts definitely favor Republicans in General Assembly elections. The gas tax and gun control votes show just how divided Baltimore County is. Baltimore County delegates voted 5-16 against the gas tax. They voted 6-12 against gun control. Baltimore County is Maryland’s purple, swing county. In 2012, the county gave President Obama a solid majority, 220,322 to 154,908. But don’t be fooled. Baltimore County’s General Assembly delegation is dominated by Republicans and conservative Democrats. And Baltimore County is perfectly capable of voting for a popular Republican in a statewide race for governor or U.S. senator. Baltimore County is blue for Obama, but red in the General Assembly. Go figure. The off-year election in 2014 will be a test for Democrats in Baltimore County. We’re not finished. In Part 3, we’ll take a closer look at some of the borderline districts. This entry was posted in Democracy, MARYLAND and tagged #WPLongform, Anne Arundel, Baltimore County, Democrats, Gas tax, General Assembly, Gun control, LongForm, Politics, Republicans, Tax by Editor (Retired). Bookmark the permalink. I can’t think if anything good to say. The right to bear arms is to protect yourself against a government that goes bad. The US government is going way bad. I say train all citizens in firearm usage and the constitution. Explain that it is an Americans DUTY to stand up against illegal actions by the government. I think that basically that the government is supposed to be servants of the citizens. Nowadays they’re moving more into the role of sheepherder. I mostly agree with everything you say. Especially that governments can and do “go bad.” And too many people are like sheep. However, I think we need to strike a balance. Weapons that can kill many people in a few seconds don’t make sense in the hands of thugs and crazies. If and when people need to protect against a rogue government, handguns, rifles and shotguns will suffice. For home defense, I prefer a shotgun. My main point in this post is about the blue-red balance in MD. While I respect the rights of protection, it seems common sense has been lost.. and too many multi murders are now becoming the norm through having automatic weapons.. But I am afraid many seem to have lost their reason in this world right now..
You are so right, Sue, about the loss of reason. The power of the gun lobby in America is amazing. I think people in the UK and Europe and many other countries have more enlightened views on issues such as guns, and also capital punishment. We here in America often seem quite backward by comparison.